Confetti Chicks has been won over by Yungskin’s natural-based skin care range that has been designed to manage and maintain a healthy and vibrant-looking complexion. 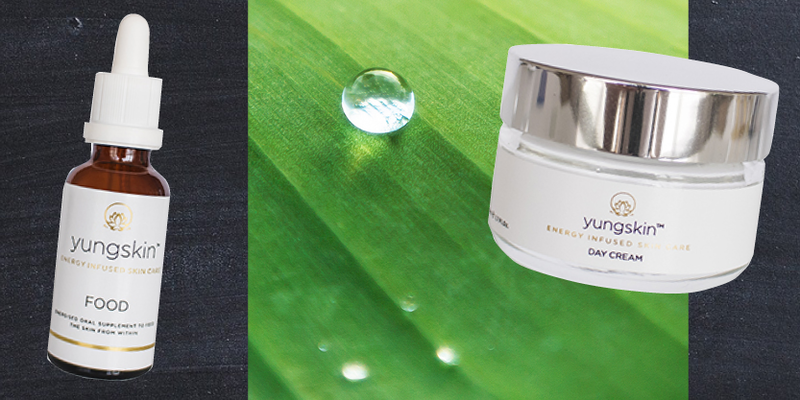 Unique to the skin care industry, Yungskin is the first and only brand to base their products on the principles of Homeopathy and Acupuncture. 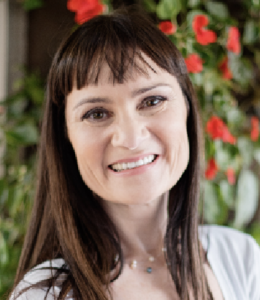 The range comprises products that are energized using quantum energy science and cellular stimulation principles through a process known as Radionics, to offer exceptional age management solutions. I have been “blessed” (haha) with the most cranky, sensitive skin. My teens and early twenties were literally plagued by severe breakouts of the most embarrassing kind. At age 30 I discovered Reacutan, a medical treatment for acne. After six months of capsules, avoiding the sun, and generally feeling as dry as a rusk, I came through it with smoother, clearer skin. Success! However, my skin never lost its sensitivity, which meant that most lotions and products applied caused stinging red flare-ups. I’d still get mild breakouts but nothing that a little concealer couldn’t hide. It was manageable, and after 15 years of skin issues, I finally settled on a regime that I was happy with. However, I later discovered that my product of choice was not entirely free of animal testing procedures, and I abruptly stopped buying it on principle. Which left me questioning, what to try next?! As fate would have it, I was invited to a media launch last year where I was introduced to this natural, organic range, made with natural spring water and not tested on animals. Past experiences made me wary, however, I was compelled to try it out. I immediately loved the way it felt… then waited for the inevitable reaction from my overly sensitive skin. To my delight, there was only a good reaction. My skin felt soft, and it was actually GLOWING. For anyone with concerns about their sensitive skin, I can wholeheartedly recommend this as the only product you need. I am still using the entire range – together with a few drops of Yungskin Food with my daily water intake – and it is without any doubt my go-to skincare. I believe in it so much so that I have decided to partner with Yungskin, and Confetti Chicks is now an agent and distributor.